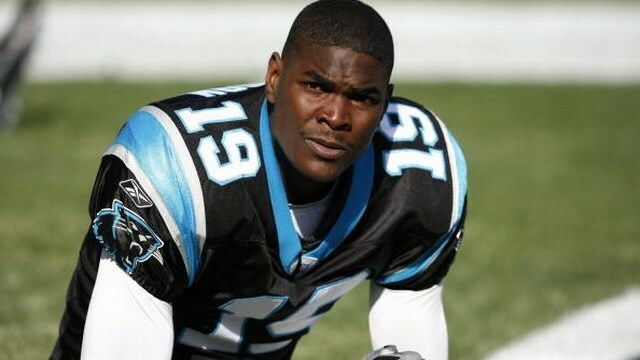 Former NFL wide receiver and USC standout Keyshawn Johnson was arrested for misdemeanor spousal battery early Monday morning at his San Fernando Valley home. KNX 1070′s Margaret Carrero reports Los Angeles County Sheriff’s deputies responded to Johnson’s Calabasas residence around 12:48 a.m. regarding a possible spousal assault call. “When deputies arrived, it was determined that the resident and his ex-girlfriend were involved in a domestic dispute,” Sgt. Carmen Arballo said. Johnson, 41, was arrested at the scene and booked at the Malibu/Lost Hills Sheriff’s Station. He posted a $20,000 bond at 9:15 a.m. and was released from custody. Selected with the first overall pick in the 1996 NFL draft, Johnson played for the New York Jets, Tampa Bay Buccaneers, Dallas Cowboys and Carolina Panthers over eleven seasons in the league. He retired in 2006 and currently works as an NFL analyst for ESPN. Johnson released the following statement Monday, according to ESPN, where he is currently an analyst.